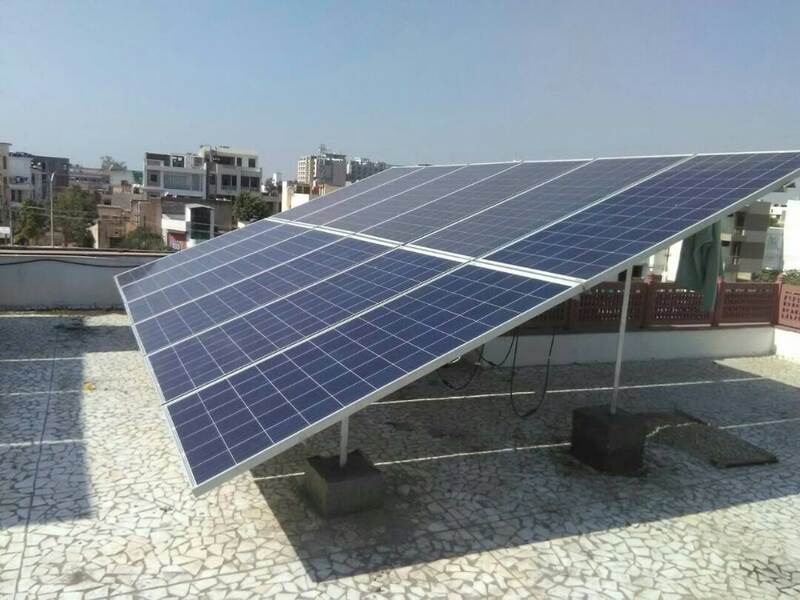 Rooftop solar installations or rooftop solar power systems on residential and commercial sites offer unparalleled energy and revenue generation opportunities. Rooftops are receptors of raw solar energy and we can transform these ordinary rooftop into a solar power plant. 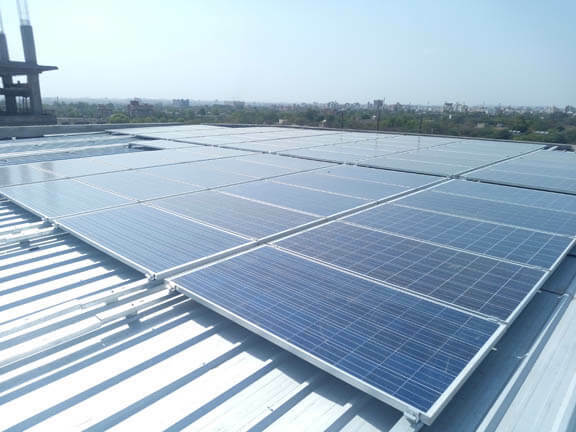 With our highly efficient and integrated solutions we make it simple for you to install and operate a rooftop solar system. Many institutions are opting for Solar Energy as not only it is a clean source of energy but also a great money-saving option. 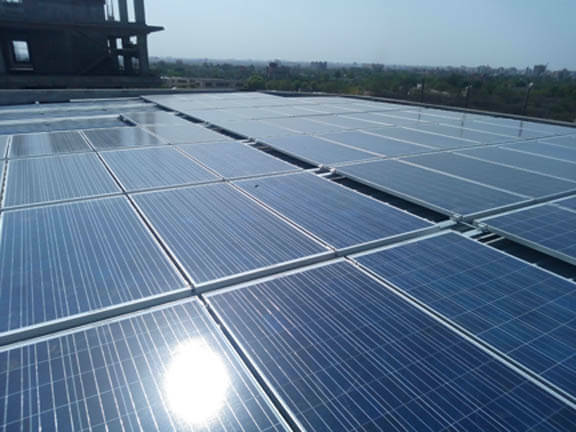 Furthermore, powering institutes, offices, hotels etc with solar reduces reliance on coal, diesel, and other dirty fossil fuels, thereby, setting up a great example for their own members to go green. 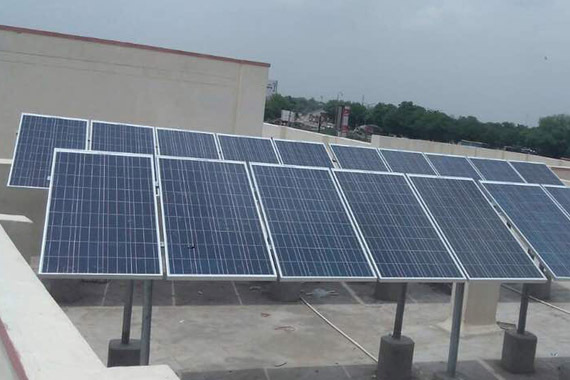 Our Solar panels are made up of tempered glasses which are durable and a crack in a tempered glass will not impede the solar cells from working properly. 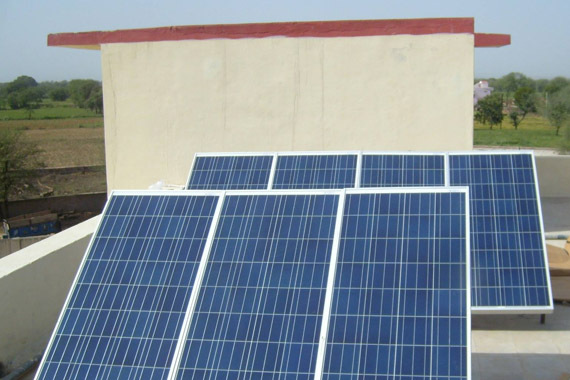 At SolarMaxx we have powered several terraces with SolarMaxx Solar PV Panels in various parts of the country.